“2018 has been a historical year for Macedonia, because it resulted a final solution to the name dispute with Greece. By signing and ratifying the Prespes agreement, both countries have put an end to a 25 year old issue. Now, our countries enjoy sustainable partnership and this should be a motive for inspiration for all Western Balkan countries and the EU”. This was declared today by PM Zoran Zaev in the government meeting, where he presented the current status of the country in its EU integration path. Also present in this meeting was the head of the Directorate for Neighbourhood and Negotiations for Enlargement of the European Commission, Christian Danielsson. “We expect our European friends to offer a fair evaluation based on results, because this will give us an opportunity to succeed as a state and society. 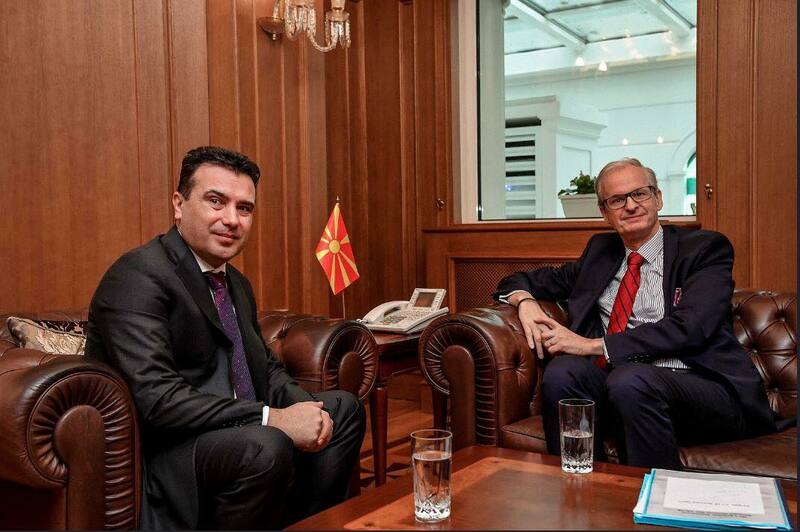 Macedonia has made big progress in its EU integration path”, Zaev declared.